(CNN) Aleppo residents will be allowed to leave on Thursday under a new ceasefire agreement reached overnight, a rebel group said. According to Ahmad Qurah Ali, spokesman for the Ahrar al-Sham rebel group, the deal was reached late Wednesday and will permit injured people to be evacuated beginning in the morning. The original ceasefire brokered Tuesday collapsed less than a day after it began. The brief ceasefire, which Turkey and Russia helped broker, aimed to begin evacuating rebels and civilians from the city Wednesday morning, but that didn't happen. Turkey and activists on the ground accused the Syrian regime and other forces of heavy shelling and bombardment as world leaders demanded a new ceasefire deal. US ambassador to United Nations says to other members: "You have a responsibility to denounce these atrocities"
UN High Commissioner for Human Rights Zeid Ra'ad Al Hussein said he was appalled by the ceasefire agreement's swift collapse. Aref Al-Aref, a medic inside the zone, spoke to CNN over the phone Wednesday as the sounds of two explosions rang in the background. "People were hopeful that they were leaving this hell. But it was a false hope," he said. "We are now worried about leaving the house. 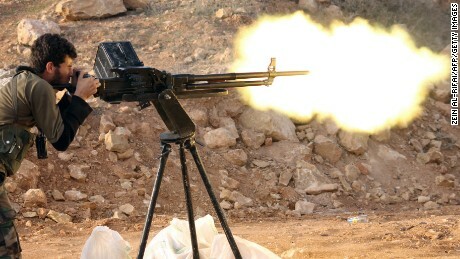 If the regime decides to launch an air raid, a massacre will take place right away. The area we are left in is too small." Syrians fleeing the restive Bustan al-Qasr neighbourhood on Tuesday. As the situation in Aleppo changes rapidly, CNN will update the map with information from sources on the ground. Rebel groups held eastern Aleppo for more than four years after the Arab Spring uprising, and a regime siege on the area had essentially cut it off from the outside world, sparking a humanitarian crisis there. If the regime does take control of the key city, it would mark a turning point in the brutal five-year war that has killed hundreds of thousands of people. Why is Aleppo so important in Syria? Erdogan and Russian President Vladimir Putin spoke about the ceasefire agreement on Wednesday, underscoring that it should be applied, violations should be avoided and the promised evacuations should occur, Turkey's official Anadolou news agency reported. The top diplomats of Turkey, Russia and Iran are set to meet on December 27 in Moscow to discuss the situation in Aleppo, Turkey's official news agency Anadolu reported Wednesday, citing Turkish Foreign Minister Mevlut Cavusoglu. No further details were reported regarding the meeting or the agenda. Aleppo Media Center activist Salah Ashkar told CNN earlier that shelling was ongoing in his neighborhood, and posted a video to Twitter showing walls in his building damaged and rubble all over the rooftop. "A missile just fell on the roof of my building," he said in the video. "Now the people who were waiting (for) the buses have to run back for their lives again (to) find shelter." Fatemah Alabed, the mother of a 7-year-old girl whose tweets from Aleppo have captured the world's attention, said intense bombing was taking place, asking: "Why are you silent? Why?" Alabed also tweeted directly to Turkish Foreign Minister Mevlut Cavusoglu, saying they had hope Tuesday, "but what's happening now? Please help us now. No more time left." 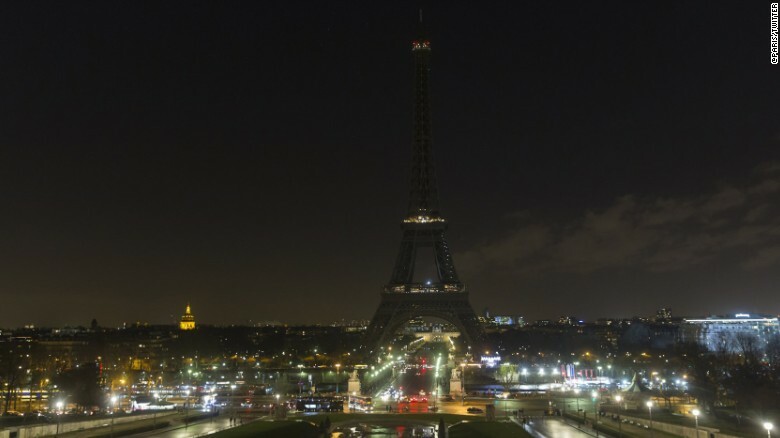 In Paris, the Eiffel Tower went dark Wednesday night as a gesture of solidarity with the people of Aleppo. As government forces were on the brink of taking all of Aleppo, a ceasefire originally was announced late Tuesday that was to see government troops, regime-aligned militia and rebel forces stand down on Wednesday. The first group of evacuees scheduled to leave was supposed to consist of 70 injured people and family members -- a total of 150 people. Buses waited to carry them out, but the ceasefire crumbled. Syrian residents fleeing eastern Aleppo in fear on December 7. 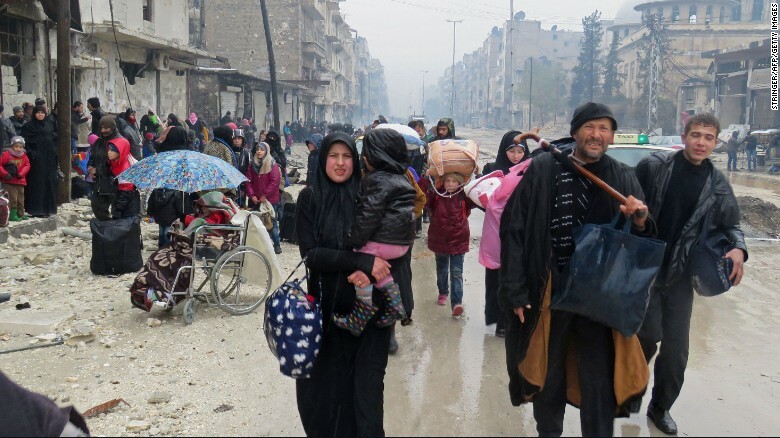 An International Committee of the Red Cross official in Aleppo told CNN the organization "is ready to help the parties to this agreement in overseeing the evacuation of civilians." He added that they are "on standby" in case a request is made to support in an evacuation. 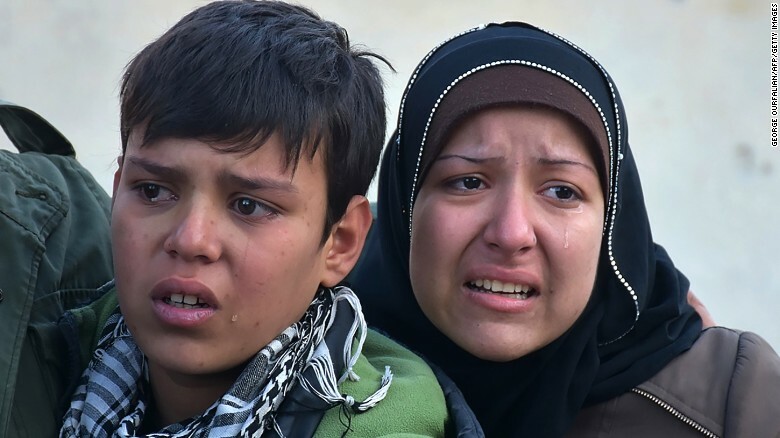 World Vision has said it is ready in Syria and can help as many as 100,000 displaced people. 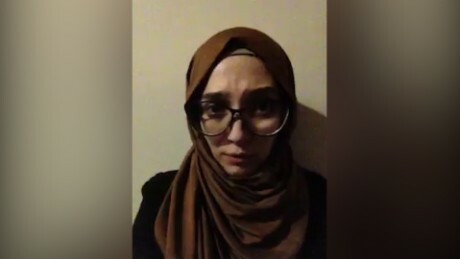 CNN's Euan McKirdy, Sonia Moghe, Waffa Munayyer, Richard Roth, Merieme Arif, Joel Williams, Fred Pleitgen, Alexander Felton, Kareem Khadder, Jomana Karadsheh, Eyad Kourdi, Basma Atassi, Hilary Clarke, Kara Fox, Eliza Mackintosh, Ghazi Balkiz and James Masters contributed to this report.